For over 35 years, Gymstrada Gymnastics has been building friendships and creating champions in the Hampton Roads area. Offering recreational and competitive gymnastics for boys and girls Gymstrada has a program for your child. In addition to recreational and competitive gymnastics, we also offer parent and toddler classes, and private lessons. Gymnastics classes at Gymstrada are designed to give each student a solid foundation in the sport. Our method of teaching is what we term, the “Developmental System”. 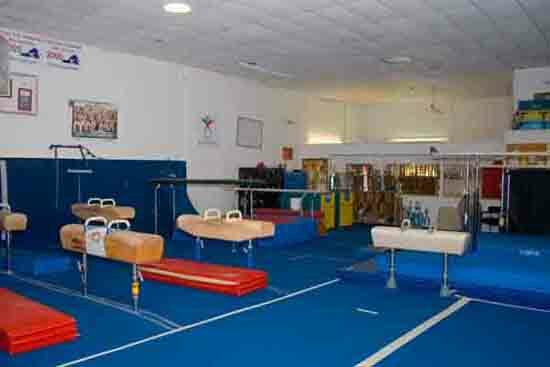 Students will receive training to improve both their physical abilities and their gymnastics skills. Physical ability training involves important components of gymnastics. Gymnastics skills are taught in a safe, progressive manner, advancing forward only when the student is ready. 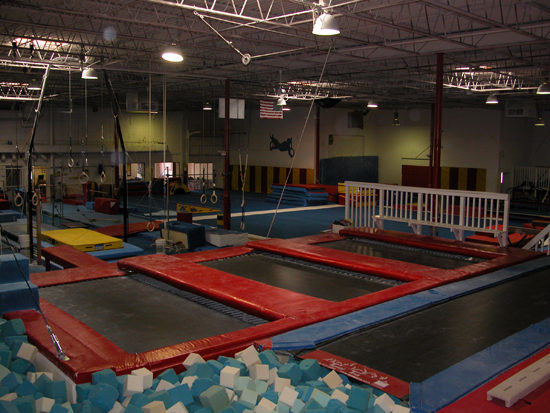 At Gymstrada, students have the opportunity to develop skills on all of the Olympic apparatus, including trampoline. Our facility includes: Balance Beams, Uneven Bars for the girls; Rings, High Bar, Pommel Horse, Parallel Bars for the boys; Tumble Traks, Rod (ski) Floors, Foam Pits, Vaulting Tables, and Gymnastics Floor Exercise areas which are used by all students both recreational and competitive. Our location offers viewing/lounge areas for parents and spectators to observe from behind the glass in our lobby area.